I am the perfect person for the job. This affirmation is read verbally once before being sped up and repeated subliminally 200 additional times in various formats*. 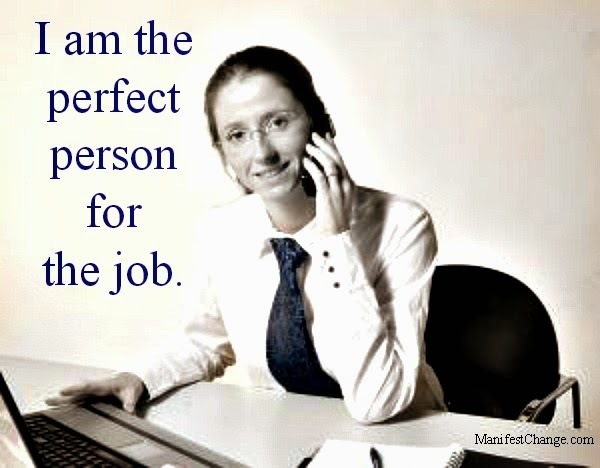 Subliminal Affirmation for Job Search Motivation: Perfect Person from Sheilah T. Davis on Vimeo. For Best Results: Listen to the recording while saying the affirmations to yourself and visualizing the outcome you desire. Click here to download the mp3 for FREE from Copy.com. You will see an option to save the file at the bottom of the screen. You are the perfect person for the job. Other people recognize that you are the perfect person for the job. Successful job seekers, just like you, know that they are the perfect fit for the job. The theme for August 2014 is job search motivation. Not for Resale. All Rights Reserved. Do you want to learn more about affirmations? If so, click here. Do you have a request for a hypnosis, subliminal, or training video? I’d enjoy hearing from you!